A Six Month Smile is an orthodontic system which allows you to have straightened teeth in six short months. A revolutionary combination of proven orthodontic techniques, modern materials, and innovative thought – Six Month Smiles® utilises specialised clear braces to gently straighten and align teeth in an average time of just six months. 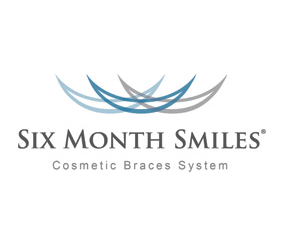 Six Month Smiles® has taken the best aspects of braces and modified the treatment and the materials to give adults a common-sense, cosmetic solution that fits your lifestyle. In contrast to traditional braces, Six Month Smile braces are made of clear brackets and white wires which are far for more discreet. Although they are not completely invisible like some other types of brace, they are much less obvious than conventional braces. The most advantageous aspect of the braces is the short treatment time. If you’re looking to improve your confidence through improving your smile, Six Month Smile can help deliver your smile goals in a short time frame.